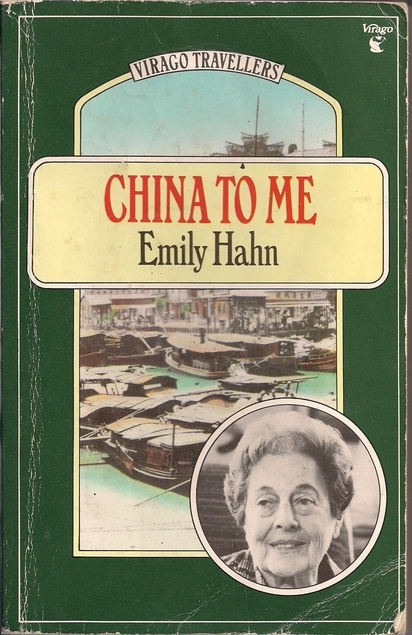 Writer Emily Hahn – known to her friends as Mickey – traveled from the USA to China in 1935 and she didn’t come home until she was repatriated – with her daughter – in 1943. She hadn’t intended to stay for so long, but she found so many reasons to stay and establish a life there. She was offered an interesting job, in newspaper journalism; and that led her into a business partnership and a romantic alliance with her – married – Chinese publisher. She mixed with the rich and powerful, mainly British and other European expatriates. She found and furnished an apartment in Shanghai’s red light district, and she kept a pet gibbon who she named Mr. Mills and who often accompanied her to social events. Starting to read this book was a little like stepping into a party not knowing any of the other guests and catching the voice of a warm and witty raconteur with a great deal to talk about. I can’t say that I got the whole story straight, but I picked up lots of details and I was intrigued. That might have happened because the author was a columnist for the New Yorker and was writing for an audience who already knew the shape of her story; it might be because she was anxious to publish this account but wary of saying too much during the war; and it could be significant that she had a serious opium habit for the first few years she spent in China …. As time passed key events became a little clearer. 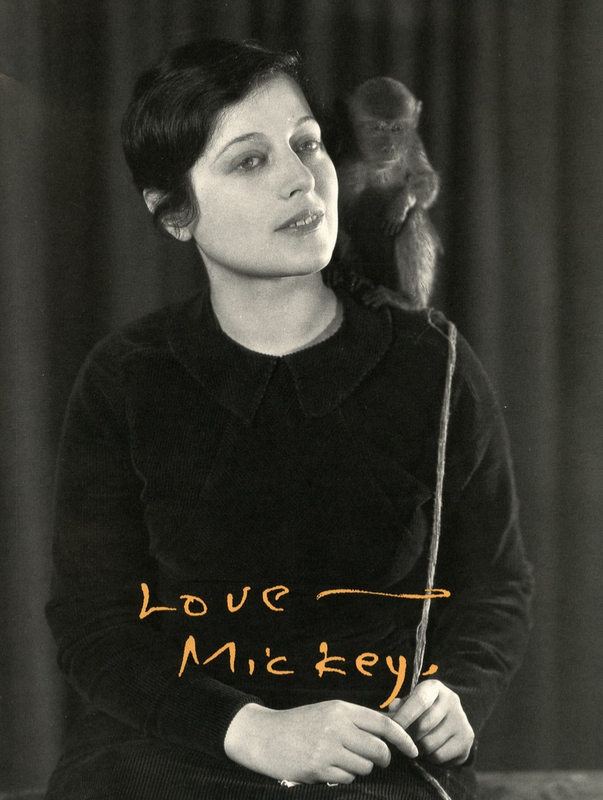 Mickey was commissioned to write a book about the three famous Soong sisters. Each sister had married a prominent Chinese men – military leader Chiang Kai-shek, revolutionary Sun Yat-sen, and wealthy finance minister Kung Hsiang-hsi – and each had used that to establish their own position of power and influence. She traveled inland to the mountainous city of Chungking to interview the first of trio, and gaining her confidence and trust opened the doors she needed opening to complete her book. There isn’t a great deal about the sisters in this book but there was enough to pique my curiosity, and to make me very glad that I have a copy of that book. Then Mickey moved to Hong Kong. She began an affair with the local head of British army intelligence and she gave birth to their baby. That was planned, because she thought that a baby would steady her and he agreed …. She was still in Hong Kong when the Japanese invaded – on the same day that they attacked Pearl Harbor. That raised this book from interesting to compelling, as she vividly describes of the confusion, the uncertainty, the deprivation and the fear of living under enemy rule. She struggled to feed and care for her infant daughter and to make sure her that her lover, who was a hospital-bound prisoner, had the food and medicine that he needed. The book closes in 1943 when Mickey is repatriated to the US with her daughter; the outcome of the war and the fate of the man she loved still uncertain. Emily Hahn was a proud feminist and fearless traveler, and the kind of woman who lived life as she felt it ought to be lived without waiting for the rules to be changed. That made her wonderful company, but it was her skill as a writer and her interest in the people around her that really elevated this memoir. She made clear and insightful observations about the people around her – and herself and how they dealt with cultural differences, the changes that politics and the war brought, and all of life’s ups and downs. You won’t find a comprehensive account of the history that Emily Hahn lived through in this book, you won’t find much at all about people outside her social circle; and there is so much detail in more than four hundred pages that I can’t say that I took it all in. But I can say that those pages weren’t enough, because brought her own life back to life on the page so vividly and she really made me understand what it was like to be in her position. I was sorry to part company, but I did understand that the book had reached a natural end. Sounds utterly absorbing, Jane. The Virago Travellers *do* have some wonderful titles which really should be more widely read. It certainly was. The Virago Travellers series has many remarkable women and stories and I would love to see them more widely read and celebrated. At the beginning, should 1973 be 1943? Yes, it should and I’ve corrected it now. I’m afraid I’m a very inaccurate typist and not a very good proofreader. Wow! Emily Hahn was a truly amazing woman. There is a detailed entry in Wikipedia about her extraordinary life that I just had to look up after reading your great review. 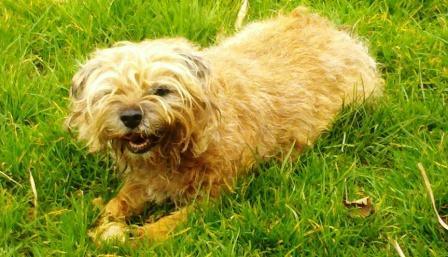 I felt exhausted just reading her bio and she lived to the ripe old age of 92 action packed years. She certainly was! I’m looking forward to reading the book of her pieces for the New Yorker that my library has as well as the book about the Soong Sisters. Oh this sounds fascinating! I am going to see if our libraries have a copy, or can borrow one for me. And now I’m curious about the Virago Travellers. One of Emily Eden’s books of letters from India was published in that series, but I haven’t come across others. My library doesn’t have this, but they do have a cookbook of Chinese recipes by Emily Hahn. I have the Emily Eden letters and they are high on my list of reading priorities. I do like a Virago Traveller! And how fortunate that you have the book she wrote on the sisters, too: is that next on the list or do you need a cleansing read between? It’s on the list but it may be a while before I get to it. I have a backlog of reviews, a couple of books in progress and a library pile that I need to look at first. This sounds wonderful, what an inspiring person – have you read The Ginger Tree by Oswald Wynd? It just came to mind as soon as I started reading! Yes, I have. Emily Hahn was very well known in her day so I wouldn’t be at all surprised if her life story was an influence. What an adventurous life. No wonder you were so intrigued! I have one of these books – is it about Sarah Grand, maybe? but that doesn’t seem to fit – and have always wondered if there were more of them in the series, looking like the VMCs but not-quite. Across the pond, these other related-Virago copies are much more unusual. This sounds wonderful Jane, the kind of book to fully transport the reader to another place. Emily Hahnn must have been a very interesting woman.